Dr. Janet Hranicky is an established leader in PsychoNeuroImmunology and the role of the mind and consciousness in anti-aging and longevity, known for her pioneering work over the last 30 years with world renowned O. Carl Simonton, M.D. and their ground breaking work in the field of mind/body medicine and cancer with the Simonton Cancer Center. 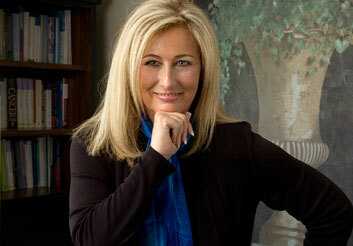 Dr. Hranicky is the Founder and President of The American Health Institute. She has been involved in health care delivery since 1972 when she was doing her internship at The University of Texas, Student Health Center in Austin, Texas. Dr. Hranicky has been a leading pioneer in developing the field of PsychoNeuroImmunology. For the last 25 years, she and her colleague, O. Carl Simonton, M.D. together have led the longest running Psychological Intervention Program for cancer in the world. They have trained thousands of physicians, nurses, and health care professionals in the renowned Simonton Cancer Center Model. Dr. Hranicky has gone on to expand this work in her own research and has developed the theoretical foundation and treatment protocol to be implemented in designing guidelines for a Standard of Care in Mind/Body Medicine and Cancer. Dr. Hranicky's distinguished work is now available in a multi-media educational format "The Hranicky Psycho-Oncology Program: A Premier Intervention and Treatment Model for Integrative Cancer Care." Dr. Hranicky has collaborated, with her husband, Michael Galitzer, M.D., an Anti-Aging Medicine specialist in Los Angeles, California in developing The American Health Institute's Program in Longevity Medicine. Dr. Hranicky is currently involved in research with the well known UCLA Professor Emeritus—Neurophysiologist, Dr. Valerie Hunt—looking at the specific patterns in the BioEnergy Field that correlate to the profound dynamics in understanding states of health and disease. Dr. Hranicky utilizes leading edge technology in communication and stress management called the Process Communication Model® developed by the internationally known Taibi Kahler, Ph.D., and used by Dr. Teri McGuire, the former consulting psychiatrist at NASA, in the selection of astronauts for over twenty years because of its unique ability to predict specific distress patterns that correlate with an Individual's Personality Type: Dr. Hranicky has integrated Stress Theories and Cancer to write "The Key to Me in Getting Well." I had the belief as a child that world peace and world health were intertwined. My intention as a teenager was to become a surgeon. I took Latin for 5 years in preparation for education in medicine, and I found myself being chosen for a different path. In 1979, I was introduced to Stephanie and Carl Simonton. After the release of their renowned book, Getting Well Again, their work was becoming highly acclaimed in the field of Mind/Body Medicine and Cancer. They asked me to train with them and become part of the staff at The Cancer Counseling and Research Center in Ft. Worth, Texas. I went on to become a long term colleague and associate of Carl Simonton, M.D., when he moved to Los Angeles to open up The Simonton Cancer Center. For over 25 years, we have pioneered this innovative field of PsychoNeuroImmunology. In 1983, a good friend and colleague, Darby Long, and I started The Global Cancer Project. We were committed to the belief that when we could change mass consciousness that Cancer Was Curable – it would be! I met Dr. Michael Galitzer in May of 1990 when he attended one of The Simonton Cancer Center's Professional Training Programs. I was so impressed with Dr. Galitzer's integration of traditional and alternative medicine that I was thrilled for us to become partners in developing The American Health Institute, Inc., which I had founded the year before in Dallas, Texas. Since then I have taken what I have learned in 25 years of clinical research in the field of cancer and applied the basic principles that are essential to "getting well" to an Anti-Aging and Longevity Model. Over the last 16 years we have diligently developed research-based treatment programs and natural medicine products that we are now introducing for the first time to a large international audience, and are excited to be able to make a positive and significant contribution to health care and medicine. May we all stop referring to ourselves as a certain age in limiting ways, step out of a linear mindset and into an "ageless" mindset, and enjoy the energy that flows when there is no resistance and only eternal joy and well-being! It is our intention to be a support to you for achieving your deepest desires of feeling good again and achieving optimal health! The American Health Institute, Inc. is a licensed and certified independent distributor of the Process Communication Model® and all materials related thereto, which are the proprietary rights of Kahler Communications, Inc. The Kahler Communication name is used by express permission and this person, entity, or firm is otherwise not associated with, nor owned, in whole or part, or controlled or managed by Kahler Communications, Inc.